Gavin Andresen is the chief scientist at the Bitcoin Foundation. He worked as a software developer for a number of companies in the VOIP (voice over internet protocol),3D graphics, virtual reality, and gaming industries. In April 2011, Satoshi Nakamoto, the inventor of bitcoin, sent an email to the bitcoin community saying he was leaving the project. Andresen filled the void that was left by keeping the project organized and moving forward. In 2012 Andresen helped found the Bitcoin Foundation and became its chief scientist, a full-time position he has held since then until at least mid-July 2018. Andresen dropped out of the limelight after the CoinDesk Consensus 2016. On a panel there he stated that he believed Craig Wright's claim to be the real Satoshi Nakamoto. Craig Wright is an Australian bitcoin developer. Wright's claim and Andresen's support for it were widely ridiculed. Immediately thereafter, Bitcoin Core, a developer group, deleted Andresen's permission to commit new code in GitHub. As one tweet noted, "Core team members are concerned that he may have been hacked." On November 11, 2017 Gavin tweeted that he was looking into bitcoin cash because it can serve as both a store of value and a currency. In that Twitter thread, he states, "High validation costs lead to centralization . . ." Andresen submitted a concept for bitcoin cash to GitHub on January 2, 2018 called “Storing the UTXO as a bit-vector,” the purpose of which is to enable faster transaction validations in the future as the size of bitcoin cash blocks grows. UTXO is the acronym for unspent transaction output, where, for a transaction to be valid all inputs must be in the UTXO database. Andresen holds a Bachelors Degree in Computer Science from Princeton University. It was awarded in 1988. ↑ Development process straw-man. Bitcoin Forum. ↑ The Man Who Really Built Bitcoin. MIT Technology Review. 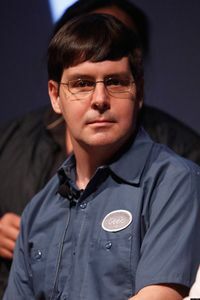 ↑ Where is Gavin Andresen? The Quiet Exile of Bitcoin's Former Face. CoinDesk. ↑ Peter Todd Tweet. Twitter. ↑ Gavin Andresen Drops A New Concept On Github for Bitcoin Cash. Bitcoin.com. This page was last edited on 17 December 2018, at 14:48.